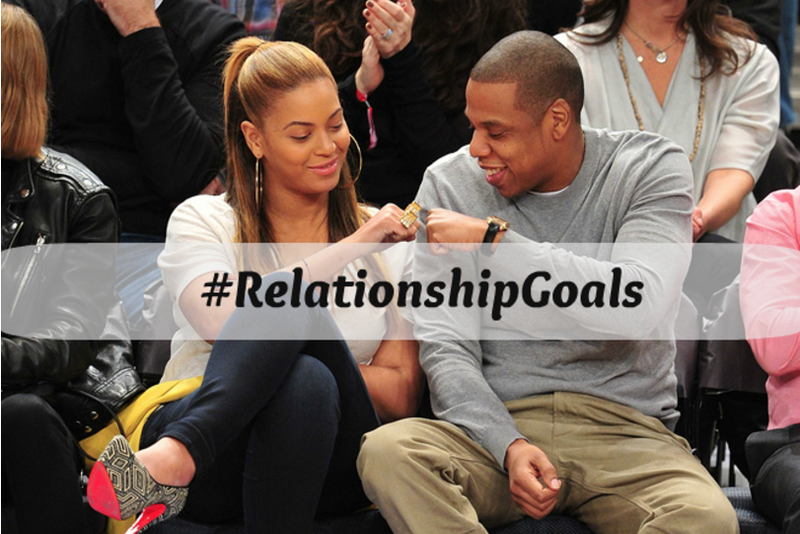 Social media has created an ideal image of what a successful relationship looks like especially through celebrity couple’s. Individual’s view these images and the lifestyles portrayed and aspire to have what they see. Everyday I scroll through Instagram and also various other social media platforms and one of the most popular hash tags I see is #Relationship goals😍😍. This hash tag is posted under a picture such as of a couple’s marriage and more recently images that show a couple holding hands or sharing a kiss. My immediate thought is number one why would you want to mirror another individual’s relationship and secondly what makes you believe that the happiness you see in the particular image is also this couples reality. “People only show you what they want you to see” and what they believe will be popular to the masses. Although this tends to be a caption frequently posted on celebrities pictures it is becoming more and more common to see it on a individual’s post who would be considered to be normal everyday people. What people fail to realise is that when these individual’s post these types of images and receive attention and this hash tag under an image they share, they simply continue to post these sorts of images to keep you engaged. They show you exactly what they know you want to see and what will get a popular reaction. My opinion is that one should not strive to have or focus on what others have. The uniqueness and individuality of ones relationship is what makes it special. Social media is not reality and most of what people do is to gain followers and to get noticed. I am not suggesting these individual’s do not have a great relationship but not everything you see is really what it seems. I would love to know what your views on this are. This is sooo true u cannot strive to be in a picture perfect relationship u cannot tell what a couples relationship is like by a picture and further more no relationship is perfetct. i just think that a relationship is about ups and downs and social media makes out as if some relationships have ups and no downs and that is not the case at all. This is very true! This hashtag is being overused and people are using it to copy what they see in other people’s relationships instead of creating what they want their own relationships to be like with their own partner or potential. It’s sad that people are always comparing themselves to what they see and what the media like to show them. People need to find and create the happiness in their own lives and their own worlds. Create their own reality. Define their own relationships based on the connection they share with their partner and focus on what’s important between them and the person they’re with. Great post! I definitely agree with you. What we want from relationships gotta be put into them and not solely built from what we view in social media because I don’t many people that put their messes up, we like to show our best selves so we add these very hard to meet and sometimes unrealistic expectations on ourselves and those we say we want to spend our lives with and end up adding frustration and other ills to an already delicate undergoing. Relationships are already a task without trying to meet other people’s likability requirements. Just meet your own.